Lezlie Cebulski, ND, EFT, RMT is a Michigan Naturopathic practitioner who earned her Doctorate of Naturopathy (Natural Health) in 2003 with High Honors. She is a traditional naturopath and a member of the American Alternative Medical Association and the American Association of Drugless Practitioners. A Board Certified Holistic Health Practitioner , she also earned her B.A. in Psychology at Earlham College. Dr. Lezlie (Naturopath) is a member of the Coalition for Natural Health and American Holistic Health Association and a member of the American Botanical Council. She has been active in alternative and energy medicine, helping clients, friends and family for over 30 years. Dr. Lezlie (Naturopath) has earned Advanced Certificates of Completion in EFT, Emotional Freedom Technique. Lezlie has spent thousands of hours helping clients with EFT, Emotional Freedom Technique. By combining muscle testing and EFT, she is able to access the subconscious mind and release stubborn emotional patterns and trauma. By also addressing physical issues through detoxification and dietary supplements, excellent results are quickly experienced by her clients. Lezlie is an ordained minister of New Horizon Ministries and is a spiritual healer and offers spiritual guidance and counseling. Lezlie Cebulski, ND, EFT, RMT is also a Reiki Master. Reiki is a healing hands technique which delivers life force energy. Clients experience deep relaxation, peace of mind, release of emotional and physical energy and tension. Reiki can be requested as a single session or is sometimes used for a few minutes in session for relaxation or pain relief purposes. Dr. Lezlie (Naturopath) is an author of many published articles and books. 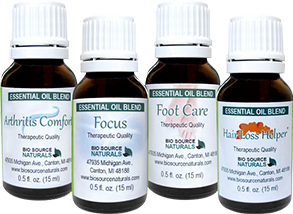 The founder of Biosource Naturals and formulated Bio Source Naturals Body-Mind Remedy Lotions containing body-mapped Bach Flower Essences, gem elixirs and essential oils for emotional and physical balance. Her social media and Pinterest pins regarding the use of essential oils have 650,000 viewers monthly. In sessions with Dr. Lezlie (Naturopath) ND, EFT, RMT, she assesses the need for detoxification & nutritional healing by assessing organ/system energy patterns through muscle testing. The nutritional program is customized for you for fast physical healing and emotional balance. Her approach is also focused on energetic, emotional release by intuitive listening, counsel, the skillful application of Emotional Freedom Technique to rid the body of negative emotional energy and patterns. Emotional and spiritual issues are addressed when appropriate as part of the healing process. Dr. Lezlie (Naturopath) ND, EFT, RMT specializes in natural supportive treatments for anxiety, depression, chronic fatigue, grief, digestive disorders, emotional eating/food addictions, pain, thyroid issues, adrenal fatigue and female hair loss. Note: She is not licensed as a mental health professional. Through her mother’s mother’s ancestry, Lezlie is a direct descendant of several medieval Merovingian Kings [ancestry.com]. The Merovingian monarchs were reported to be able to heal by the laying on of hands. Through this bloodline, Lezlie is the 45th great-granddaughter of Saint Bathildis & the 50th great-granddaughter of Saint Clotilde. [ancestry.com]. Lezlie is highly intuitive and often during sessions, receives guidance from the Holy Spirit. 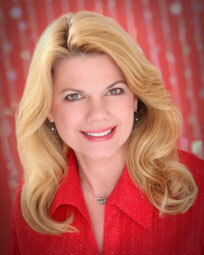 She is both intuitive and analytical and can give insight to light your path to wellness.